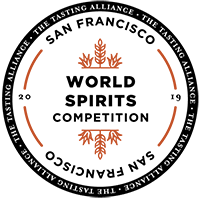 We are no longer accepting entries for the 2019 San Francisco World Spirits Competition! Results will be emailed to entrants following the Competition. Please check back in April for 2019 results. For 2020 Competition updates and to be added to our mailing list, please email info@sfspiritscomp.com.